Steve (the farrier) has been a big part of the team for 8 years. He is very approachable and he has excellent patience and takes time with the horses, which means he always does a fantastic job. 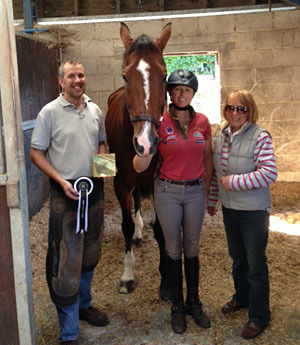 Steve won the Best Shod award at Burghley, from the Worshipful Company of Farriers.